My husband's Birthday was last week. Per his request, I made Oatmeal Raisin Chocolate Chip Cookies. 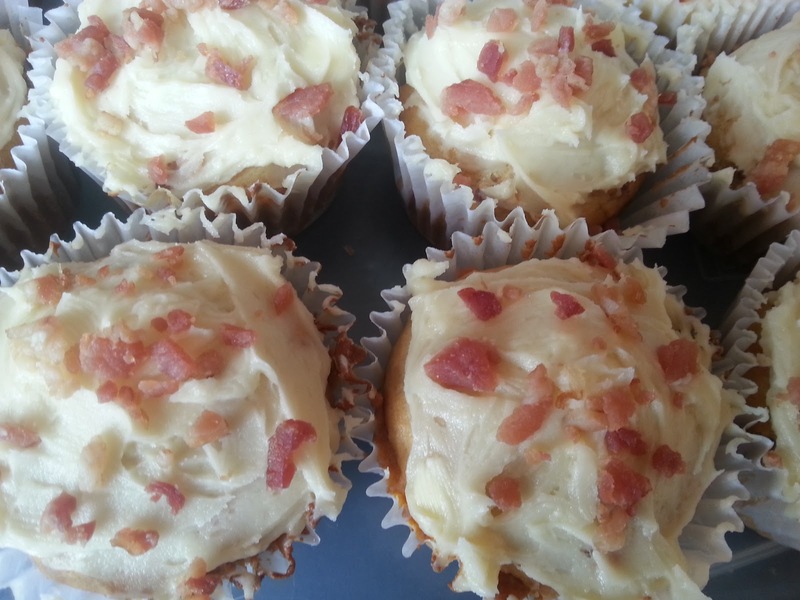 However, I had a lot of bacon left over from my Maple Bacon Chocolate Chip Cookies, so I decided to surprise him with Maple Bacon Cupcakes. Also, because candles don't stick well into cookies. Also, because I was working from home due to another snowstorm (apparently I moved to the tundra and not Denver as I had originally thought) and needed something to do on my lunch break. I found a high altitude recipe (yay!) on the interwebs and decided to give it a go. The recipe calls for the use of bacon grease, which is great if you are cooking the bacon immediately before you make the cupcakes, which I wasn't. Lucky for me, my husband has been saving bacon grease in a jar in the freezer (it's because it can't go down the drain in the sink, but I'm not sure what we're saving it for exactly...but in this case it worked out so I'm not complaining). I modified the recipe slightly based on my own tastes and because some of the measurements were a little confusing. I love cupcakes, but I don't make them all that often, so I don't have any of the fancy tools for icing, so my cupcakes don't look all that impressive, but boy do they taste awesome! My husband, who normally doesn't like icing, really loved the Maple Buttercream. Cook the bacon however you like (again, sorry, my husband is still not spilling the super secret awesome bacon recipe). You will need about 6 pieces. Save the bacon grease! 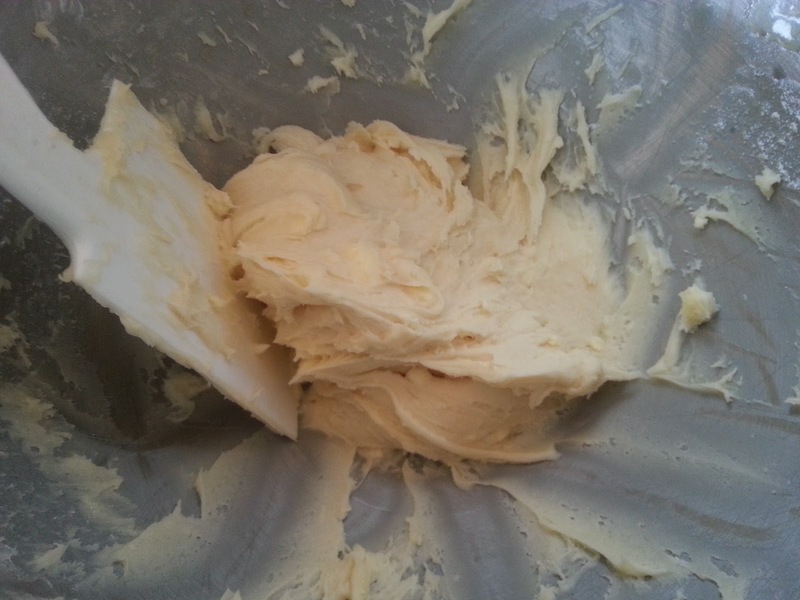 Once the bacon grease solidifies, beat it with the butter until creamed. Beat in brown sugar and maple syrup. Add egg and beat until well combined. Slowly add dry ingredients into wet ingredients. Beat in milk until smooth. Stir in the bacon. 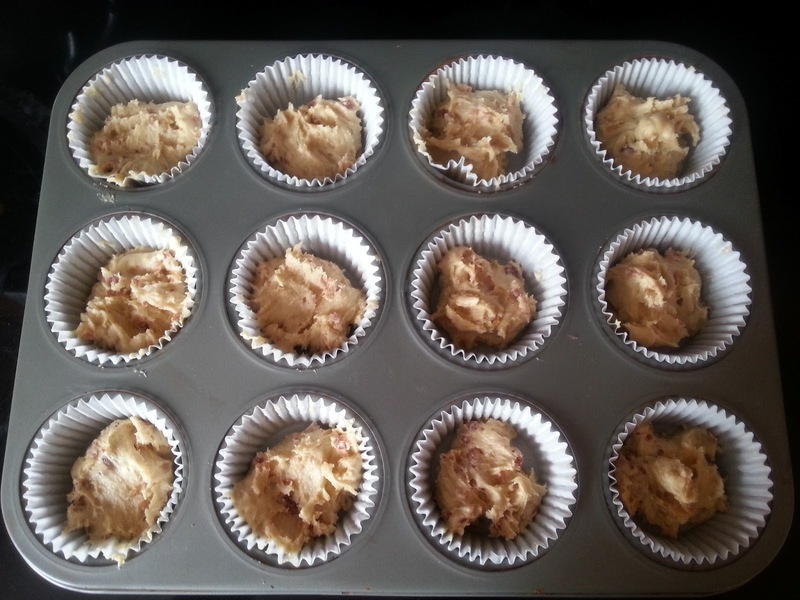 Add the mix into the muffin pans, using cupcake liners. Bake for 12-15 minutes and let cool before adding icing. Beat ingredients on high until well combined. 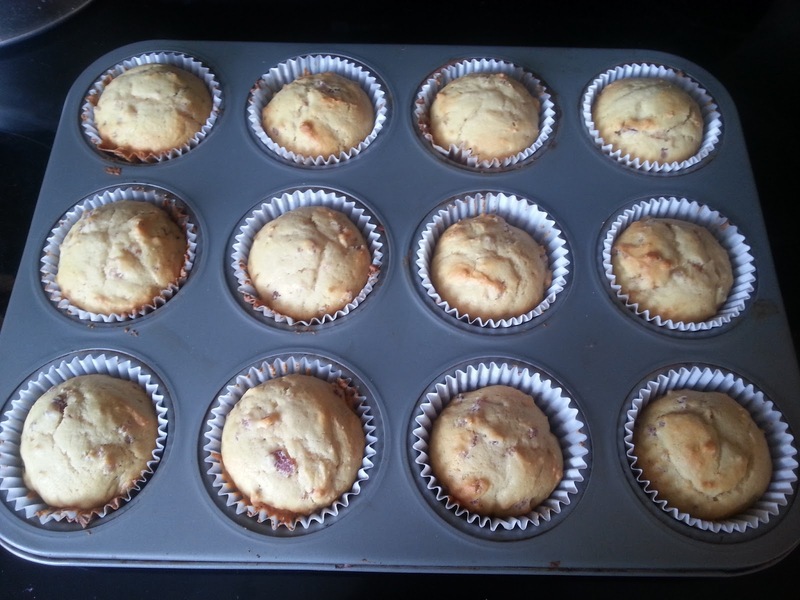 Add to cupcakes and then sprinkle on the remaining bacon bits.